A famous family of instrument makers, players, and composers from the town of La Couture Boussey, in the Normandy region of France. The author of the influential treatise on baroque flute and recorder and oboe playing was Jacques Hotteterre (le Romain) (1674-1763). His surviving instruments have the maker's mark of an anchor below his last name. Two other Hotteterre workshops were those of Nicolas Hotteterre Sr. (1637-1694), with a maker’s mark of a six-pointed star above the name N/Hotteterre and Louis Hotteterre Sr. (? - 1716), with a maker’s mark of a fleur-de-lis above the name L/Hotteterre. Although Jacque le Romain seems to have lived the longest, he most probably stopped instrument making in 1720. Altogether there are now eighteen surviving Hotteterre family instruments, consisting of 5 alto recorders, 5 tenor recorders, 3 bass recorders, 3 traversos and 2 oboes. Philippe Bolton offers a Hotteterre alto at A440, based on an original in Paris which is most probably an alto in g at A392. 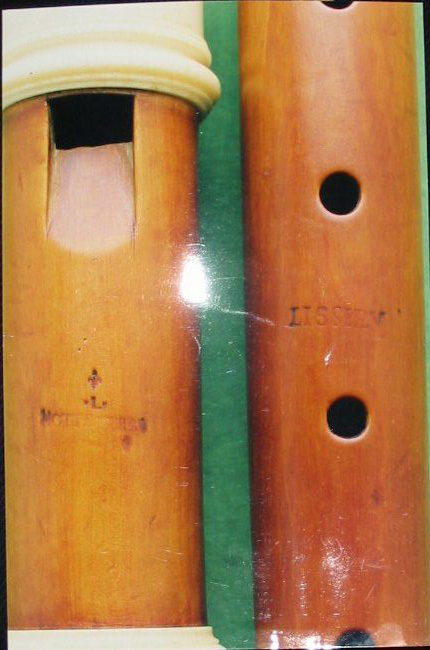 There are two other makers with surviving g altos at A392, namely J. C. Denner and Jean-Jacques Rippert. 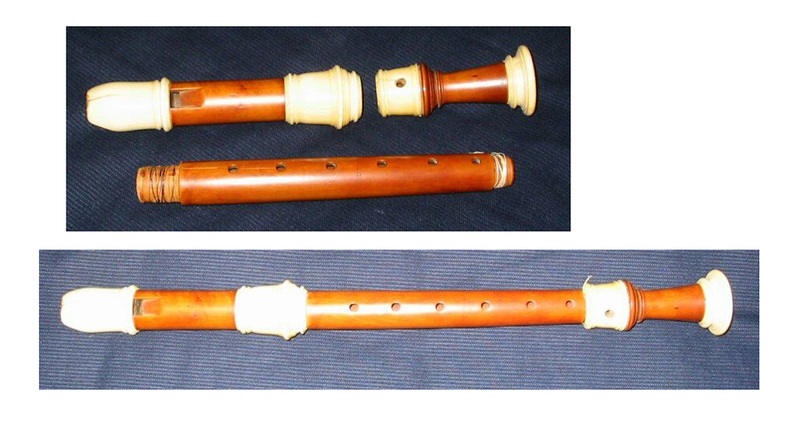 All three instruments are from the first phase of baroque recorder making, along with the surviving two-piece soprano recorders of Richard Haka. Recently, Moeck has begun offering Hotetterre tenor recorders designed by Ralf Ehlert in both A440 and A415. 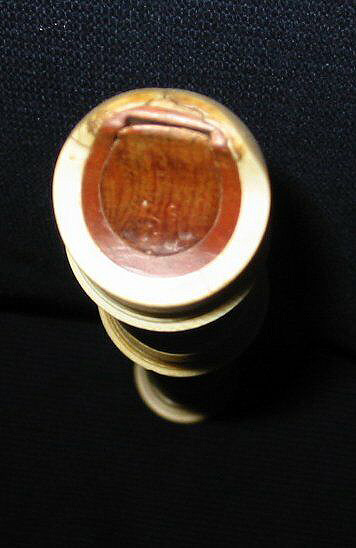 This model was cited as the “best of available tenors” in American Recorder Magazine, November 2005 in a comparison of today's leading tenor recorders. Hotteterre - Ivory Alto - Paris All the pictures from the Paris Museum are far too small. If anyone has better digital pictures PLEASE email them to me and I will update them on this site!!! Hotteterre - Alto Head - Paris All the pictures from the Paris Museum are far too small. If anyone has better digital pictures PLEASE email them to me and I will update them on this site!!! L. Hotteterre Alto - Italian Private Collection This instrument is not listed in Young 4900 Wind Instruments and so represents the fourth surviving L. Hotteterre alto. Photo courtesy of Paolo Faeti. L. Hotteterre Alto - Italian Private Collection Detail of the head and window. Photo courtesy of Paolo Faeti. L. Hotteterre Alto - Italian Private Collection Detail of the windway. Photo courtesy of Paolo Faeti. L. Hotteterre Alto - Italian Private Collection Shows makers marks. 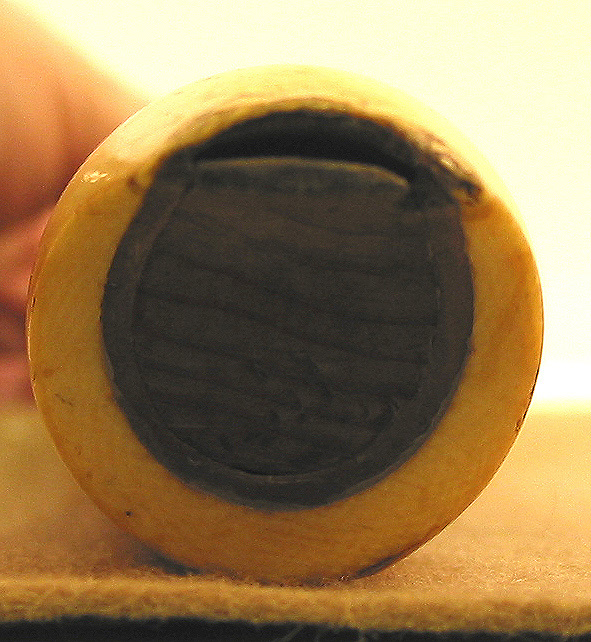 “Lisseau” made the center joint, possibly to adjust the pitch from the very low original. Photo courtesy of Paolo Faeti. Hotteterre - Tenor - Paris All the pictures from the Paris Museum are far too small. If anyone has better digital pictures PLEASE email them to me and I will update them on this site!!! N. Hotteterre - Bass - Paris All the pictures from the Paris Museum are far too small. If anyone has better digital pictures PLEASE email them to me and I will update them on this site!! !